On 22 November, SANE Patron-in-Chief the Honourable Dame Quentin Bryce AD CVO launched the Anne Deveson Research Centre (ADRC). This new SANE Australia initiative is dedicated to carrying out practical research which will drive policy change to improve the lives of Australians affected by complex mental illness. Featuring interviews, tips and personal stories on issues important to people affected by complex mental illness. This entry was posted in Uncategorized on December 5, 2018 by Inner South. Carer Victoria offer this one day comprehensive workshop suitable for new facilitators; those wanting to start up a Carer Support Group and current facilitators who want to refresh. The next training workshop will be held on 19 February 2019 in Footscray. See this link to the agencies in Victoria who are funded to provide assistance with ‘NDIS Appeals’. This entry was posted in Communication, Education on December 5, 2018 by Inner South. This entry was posted in Communication, Education, News on November 23, 2018 by Inner South. When booking please provide your phone number, email address and names of all individuals for whom you are booking. Please select your choice of main course and advise us by email at isfaf@alfred.org.au asap. This gourmet three course meal will be heavily subsidized. Cost is $10 with Pension Card, or $20 without. This entry was posted in Communication, Recreation on November 22, 2018 by Inner South. Tandem would like to welcome all new and continuing Board members, and express our gratitude to the retiring Board members for their huge contribution over the past years. This entry was posted in Communication, News on November 21, 2018 by Inner South. 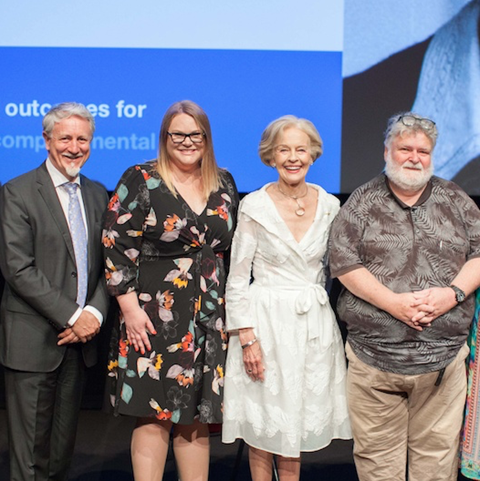 Congratulations to the all the Awards’ winners but especially to the wonderful Southern region winners, Peter McDonald, Judy Anderson and Violeta Peterson who are passionate champions of carers of people with mental illness and real community heroes! This entry was posted in Communication, Education, News on October 30, 2018 by Inner South. This entry was posted in Communication, Education, Recreation on October 20, 2018 by Inner South. Welcome to National Carers Week! This year, Carers Victoria is asking carers to Tell Us Why You Care and the general public to Tell Us Why You Care About Carers. Carers Victoria has launched its #CarersCountToo campaign with a new election platform to keep you informed as they lobby for carers’ needs in the lead up to the State election on 24 November. Our Q&A answers questions asked by the community about the NDIS. What is a Local Area Coordinator (LAC) and what do they do? What is the difference between a LAC and NDIA Planner? Can you explain when an LAC would provide support to help me implement my plan and when the NDIA might fund support coordination to help me implement my plan? What are the organisations working with the NDIA as LAC’s? Where can I find information about my nearest LAC? My LAC helped with my access request form, can they tell me if my access to the NDIS is approved? If I’m unsure about the NDIS, can I take my 5 year old to an LAC? How can an LAC help me if I’m not a participant in the NDIS? This entry was posted in Communication, Education on October 20, 2018 by Inner South.